Actress Deepika Padukone's "Padmaavat" celebrity fan club has two new members - Rishi and Neetu Kapoor. The actor couple attended a special screening of Deepika's new film earlier this week and they were so impressed with her portrayal of Rani Padmavati in film that they sent a bouquet and an appreciation note the following day. "Excellent work. So very proud of you... Love Neetu and Rishi Kapoor," the handwritten note read. Deepika shared a picture of the bouquet and card on Instagram and captioned it: "It was so lovely seeing both of you yesterday. Thank You, for all the love and appreciation." On Thursday, Rishi Kapoor was criticised by the Internet for posting an inappropriate tweet (which he later deleted) referencing "Padmaavat" anti-hero Ranveer Singh and Karan Johar's sexual preferences. Twitter users schooled Mr Kapoor telling him his joke was inappropriate. Some asked the actor if he was drunk. "Padmaavat" opened in theatres on January 25 and collected a whopping Rs 18 crore, considering the widespread protest against the film's release headlined by Rajput Karni Sena. 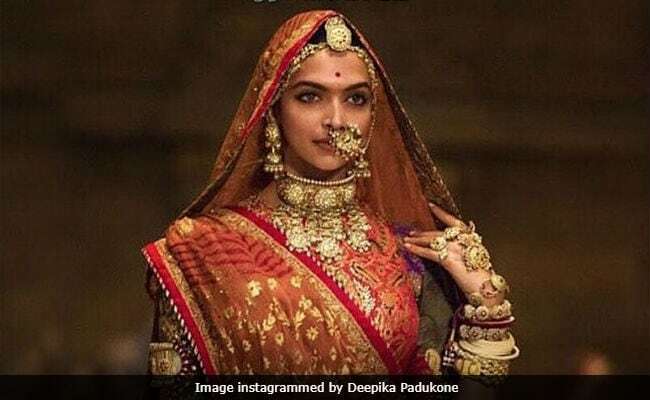 The Karni Sena and other fringe outfits have alleged that the film distorts historical facts which demean Rani Padmini. "Padmaavat" is directed by Sanjay Leela Bhansali and it also stars Shahid Kapoor as Maharawal Ratan Singh. Padmaavat is based on 16th century poet Malik Muhammad Jayasi's Padmavat, which narrates the story of Rani Padmini's jauhar after the invasion of Chittor by Alauddin Khilji and his army.